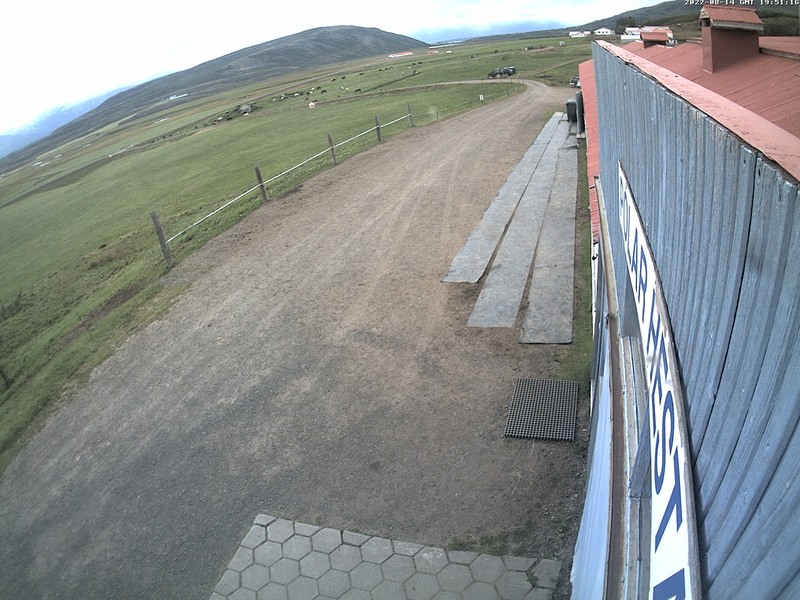 Our farmhouse Grýtubakki is located at the east side of Eyjarfjörður fjord and we enjoy a wonderful view to the sea. In the back the high mountain of Fjörðum peninsule rise above the surrounding farmlands. This scenery of fjord, shores, mountains, rivers, wetlands and valleys offers perfect conditions for diverse horseback tours. Just a few kilometres further north of Grýtubakki is Grenivík, a little fishing village, which has breathtaking panorama over the fjord and the mountains and is a perfect spot to see the midnight sun. In Grenivik you may go for shopping or enjoying a bath in the hot water of the swimming pool. Our guests often relaxe in the warm waters after a ride. The view out of the hot pool is just wonderful! Akureyri, the capital of Northern Iceland, is a 30-minute drive away from Grýutbakki. As we offer pick up for all our guests in Akureyri, there is always a option for getting known this pictoresque city. Within a short time you may reach Laufás by a short but very nice walk. The old farmhouse made of turf, provides a unique opportunity to become acquainted with the way people lived in earlier centuries.